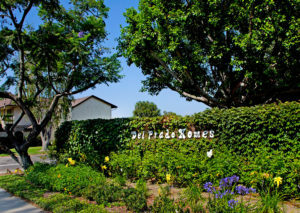 Welcome to Del Prado Townhomes in beautiful Camarillo, California. Conveniently located in central Camarillo, Del Prado Townhomes consist of 169 homes on 12.9 continuous acres. Originally created in the 1970’s, Del Prado Townhomes offers a living experience not found in newer developments in and around Ventura County. Often overlooked in many developments, Del Prado’s many greenbelts provide a scenic park-like environment as well as providing the sense of space we all need. Well established landscaping throughout, thoughtfully updated and maintained with environment and property value as our priorities. A variety of floor plans ranging in size from 1086 to 1885 square feet, 2 and 3 bedrooms, single and two story homes, full size two car attached garages and every home features front and rear private outdoor spaces. Del Prado’s home owner’s fees are one of the lowest in and around Ventura County and yet our community maintains a standard of living experience and amenities found only in communities that are well above our price point. 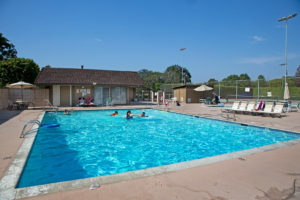 Amenities included are expansive greenbelts, convenient walkways, two lighted tennis courts, large heated swimming pool (during season) with shower and bathrooms, Jacuzzi and wading pool for children. A community clubhouse available to residents for functions, events, polling place. A secure RV lot is available on the premises based on availability. Close to retail shopping, restaurants, world famous Camarillo outlets, movie theaters, 7 community parks, including Constitution Park within walking distance, over 15 neighborhood parks, City Hall, excellent hospital and medical facilities, all varieties of schools including Cal State University Channel Islands. Minutes from Point Mugu Naval Air Station. Professional business services of all types. An expansive business park featuring all types of technology, manufacturing and professional enterprises. We thank you for visiting Del Prado’s home on the web and would encourage you to visit us monthly for updates on current events and community news.